The most new Pacific Surf Program is now available! Pacific Surf developed the best high performace trainning program for potential PRO surfers in the World. Surf Coach PRO delivers a complete training program for competitors of all levels and free surfers looking to improve their surfing. The methodology has been developed by Neco Padaratz, a former professional surfer multiple event winner at WSL (world surf league), and 2 times WQS world champion. 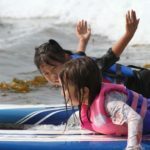 YOUR SURF PERFORMANCE WILL BE CHALLENGED, DISCUSSED AND CORRECTED SO THAT YOU WILL MAXIMIZE YOUR SURFING LEVEL AND IMPROVE YOUR TECHNIQUES TO PERFORM IN DIFFERENT TYPES AND WAVES CONDITIONS.